Rock version of the song composed by George R. Poulton in 1861. This film is even handed and explores why people take the positions they do. 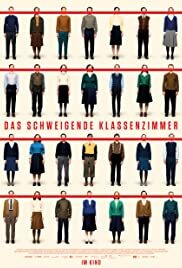 the themes are universal - the older generation carry the baggage of WWII, the legacy of fascism while the younger generation of high school students are idealistic and, to some extent, naive and easily manipulated. We understand why the East German government finds it imperative to stamp out 'counter revolutionary' activity. The characters are well rounded, not just evil cardboard cut outs. School officials are caught up in and compromised by a political system. The irony is by working together and maintaining solidarity the school students show precisely the qualities the 'socialist' regime of the GDR was supposed to be all about. The intrusive incidental music was the only thing which grated for me, and at times the movie lapsed in to melodrama but on the whole it was entertaining and thought provoking with a lavish attention to period detail. 11 of 34 people found this review helpful. Was this review helpful to you?